The post Dueling Review All-New Wolverine Annual #1 appeared first on Major Spoilers. Three more superstar artists are joining Marvel's mysterious "MU" comic. Spider-Man and Wolverine have a colorful history when it comes to team-ups and crossovers. All-New Wolverine Annual #1 keeps that tradition alive but shifts the focus from Peter Parker and Logan to Gwen Stacy and Laura Kinney. This issue realizes the fun inherent in that inter-dimensional pairing, but misses the boat when it comes to the weightier drama. This crossover is most easily compared to the Ultimate Spider-Man storyline where Peter and Logan unexpectedly switched bodies. That's the crux of the conflict in this issue, as Laura and Gwen suddenly awaken to find themselves in the wrong universe and the wrong body. There's ample comedy to be had as each heroine struggles to cope with their new powers and make sense of their bizarre situation. Gwen enjoys many of the most memorable moments as she gets used to her newfound claws an swaps out her familiar Spider-Ham hallucinations for "Wolver-Hampton." From the earliest month's of IDW's Teenage Mutant Ninja Turtles reboot, there have always been various one-shots, micro-series, mini-series and other spinoffs expanding on the main series. Why not consolidate those spinoff stories into one ongoing series? That's pretty much the thinking with TMNT Universe. Not all readers will feel the need to read two simultaneous TMNT comics, but those who do check out TMNT Universe #1 will find a comic very worthy of standing alongside its sister series. In fact, reading this issue is enough to make you wonder if IDW shouldn't have just gone the DC Rebirth route and converted the main TMNT comic into a twice-monthly series. TMNT Universe is not only very much in line with the main series in terms of tone and style, it feels like a vital addition to the franchise. This book builds directly on the current, post-Vengeance status quo as it explores the new threats that are emerging in the aftermath of Shredder's defeat. If this issue makes anything clear, it's that the future is darker and more unpredictable than ever for the Turtles. The catch is that the book doesn't completely stand on its own, and those not keen on the main series might not find much incentive to stick with TMNT Universe either. Over the course of 20 years working at Marvel, Joe Quesada has climbed the ranks majorly, shaping the publisher’s creative vision in a big way. After serving as an interior artist for a number of years and going on to craft the massively successful Marvel Knights imprint, Quesada graduated to editor-in-chief, overseeing the publisher’s entire line from “House of M,” to “Civil War” and “Brand New Day,” among other major storylines. These days, Quesada is Chief Creative Officer at Marvel, serving as the liaison between the company’s publishing and entertainment divisions. Appearing at Comic-Con International: San Diego, CBR News had the opportunity to speak with Quesada about his workflow as CCO, in addition to the time he currently spends drawing, the influence of his work on the current slate of Marvel Netflix shows, and more. Stay tuned this week for Parts 2 & 3 of CBR’s conversation with Quesada. The post Joe Quesada Discusses ‘Gratifying’ Marvel Knights Influence on Netflix Shows appeared first on CBR.com. Life is growing more difficult for Peter Parker as the march towards The Clone Conspiracy continues. Warning: this article contains spoilers for The Amazing Spider-Man #17! 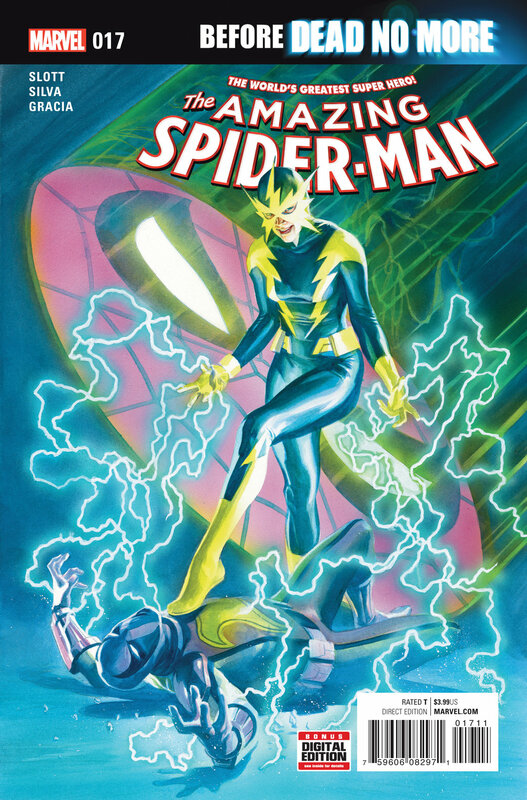 As you can see from the cover above, Amazing Spider-Man #17 marks the debut of the new, female Electro. This issue saw the Jackal attempt to recruit Max Dillon into his growing army of supervillain minions. As incentive, Jackal resurrected Francine, a woman whom Electro accidentally killed when his powers raged out of control. But when Jackal tried to restore Electro's powers, he accidentally empowered Francine instead. Thus, the new Electro was born. The Witcher 3: CE is a magnificent game of mammoth proportions. This is IGN's GOTY for 2015, packed to the gills with all of its DLC, including the fantastic Hearts of Stone and Blood and Wine, and it's yours to be had for just $40, if you have Amazon Prime (without Prime it's still only $50). That's a total steal for a game that can give you at least 100 hours of monster slaying, open-world exploration, Gwent-playing, and moments of surprisingly gripping story-telling. Prime users: add it your cart, you'll see the discount at checkout! 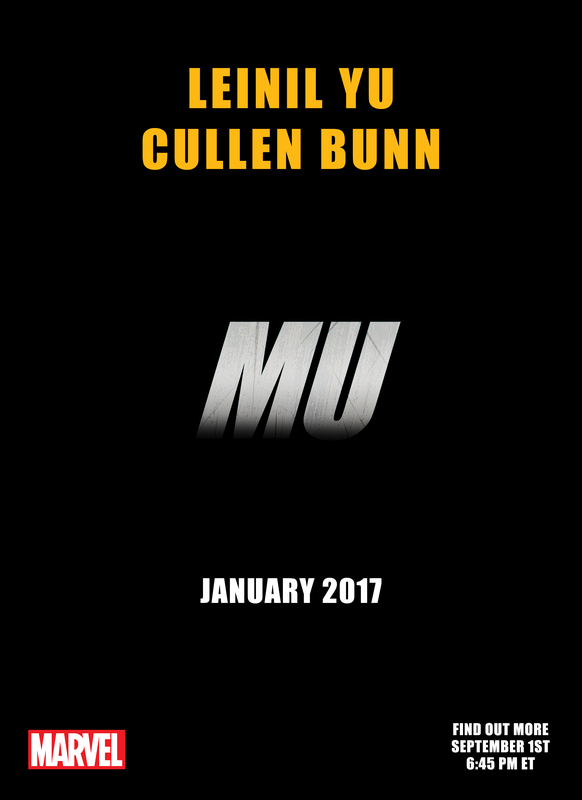 Marvel Comics has released yet another mysterious “MU” teaser, this time pairing the name of writer Cullen Bunn (“Uncanny X-Men”) with superstar artist Leinil Yu (“Secret Invasion”). The other three teasers featured the names of artists Steve McNiven, Greg Land and Adam Kubert, all paired alongside Bunn. “MU” arrives in January 2017. The post New Marvel MU Teaser Spotlights Cullen Bunn and Leinil Yu appeared first on CBR.com. If there's any good to come out of DC's Suicide Squad movie, hopefully it'll draw more eyeballs to the work of John Ostrander. No writer has more profoundly shaped this franchise over the years. And with the anti-heroes and outright villains of Task Force X enjoying a bigger spotlight than ever, it's only proper that DC commission a new Suicide Squad comic from Ostrander. Suicide Squad: War Crimes Special #1 hardly reinvents the wheel, but ti does show Ostrander working his familiar magic with this team. While the roster in this issue is fairly contemporary - Deadshot, Harley Quinn, Captain Boomerang, El Diablo and the obligatory throwaway villain - the tone is vintage Suicide Squad. Ostrander gives this issue a heavy political slant as the team is charged with rescuing a former US Secretary of Defense before he's put on trial for war crimes. There should always be a political slant to this franchise. The Squad aren't simply the anti-Justice League, they're the group of sorry saps forced to deal with politically thorny problems the US can't officially involve itself in. This issue speaks to that premise.